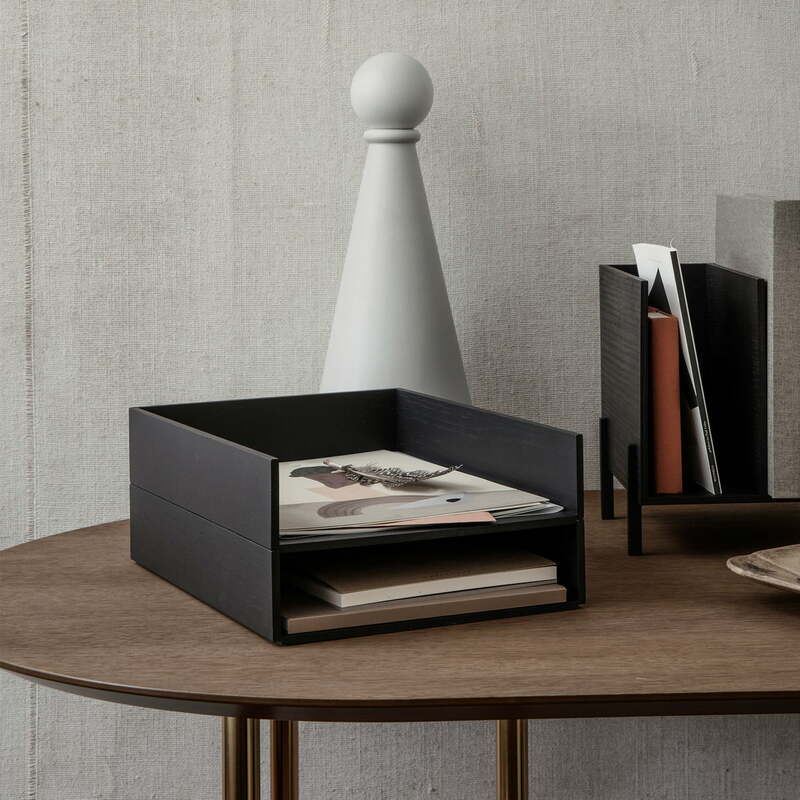 The letter tray from ferm Living keeps your desk tidy and your papers bundled in one place. Made of black stained ash wood and designed with clear, simple lines, the shelf blends into any working environment and can be placed on the table, shelf or cupboard. This keeps the work area tidy and allows it to be stylishly enhanced. However, not only letters, but also newspapers and magazines can be stored in the filing system and are thus always ready to hand. 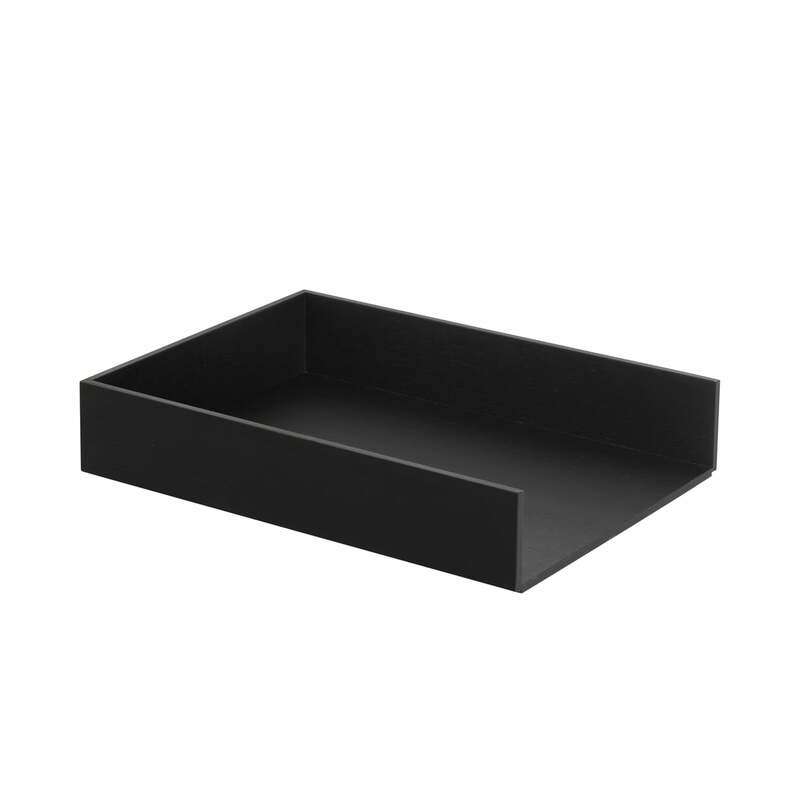 Letter tray in ash stained by ferm Living in the ambience view. Made of black stained ash wood and designed with clear, simple lines, the shelf blends into any working environment and can be placed on the table, shelf or cupboard.